There is one specific scene from a movie I watched a few years back that has never left my mind. The scene was set in a science lab and was a dialogue between a man and a woman. The man is a molecular biologist who also happens to be an atheist. He is conducting an experiment that involves modifying organisms in blind worms, in order for them to have vision. The reason why the script resonates so much with me is that it implies that just because we can’t physically see something, it doesn’t mean that it does not exist. I’d like to clarify that I’m not a religious person, and I’m not an atheist. My views on religion and spirituality are agnostic. On one hand, I believe that religion is a hypocrisy which has caused a great divide in humankind and contributes to the suffering of billions of people worldwide. On the other hand, I believe that spirituality is imperative to our survival as a species. I believe that our souls hold the key to true happiness and enlightenment, and this belief has only grown stronger as I am exposed to some of the teachings of new-age spirituality including yoga and meditation. Having dabbled in meditation periodically over the last 5 years I have encountered a range of experiences and sensations, some which I was never able to fully explain. Up until recently the metaphysical sensations I had felt during some of my deepest meditations had always scared me. Often I would feel tingling sensations throughout my whole body or large amounts of heat energy gathered in my hands. I would get visions of light, immediate clarity or distinct messages coming through during my practice. More often than not these experiences incited fear in me because my mind associated them with that of the paranormal world. No one ever talks about what these sensations mean or how to provide clarity surrounding them. These are topics we don’t discuss in the West. We only talk of religion – heaven and hell, ghosts and goblins, witchcraft and wizardry. All of which hold a negative connotation. Since journeying to the East, both physically and spiritually, I have been exposed to a world of knowledge and wisdom that does talk to the metaphysical sensations that occur during aesthetic disciplines like meditation. I had a recent out of body experience while meditating in Ubud that affirmed these phenomena. My journey to Koh Phangan also affirmed these phenomena as I became exposed to practices like Qigong, Tai Chi and Reiki, which I will talk about in this recollection. These three practices, as well as meditation, all have one thing in common – the channelling of what we call “life-force energy”. Now I have to warn you, if you’re a sceptic, atheist, nihilist or, like the molecular biologist, you believe that our world consists only of what we can see with the naked eye then what you are about to read will have the potential to go way over your head and I would suggest you stop here. Otherwise, read on. Before I arrived on Koh Phangan in December of 2018 I had only heard of Reiki once before. I really didn’t understand it, nor did I feel drawn to it. It’s often hard to connect to things we don’t understand, and perhaps this was the case for me and the Reiki practice. Reiki is a form of alternative therapy that is also referred to as energy healing. 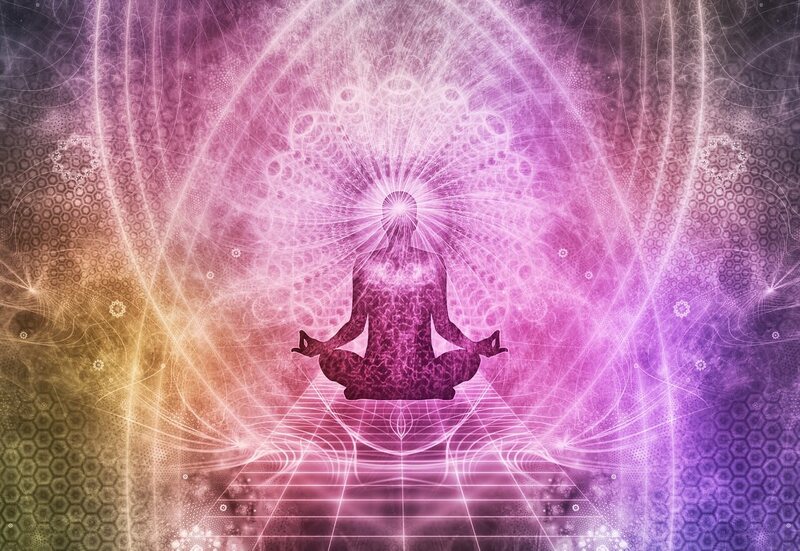 The Reiki practitioner channels and sends energy from the limitless source of universal prana or life-force. This very source is responsible for life itself and for all healing. Think about the divine geometry of the universe. What causes a tree to grow? What causes a flower to bloom? What causes a wound to heal itself? All these miracles are caused by the constant flowing energy in our universe. A Reiki healer is able to tap into that energy, the same way Tai Chi and Qigong practitioners are able to tap into the energy. In fact “Tai Chi” translates in Chinese to “Supreme Ultimate”, while Reiki translates in Japanese to “Universal Life Force”. They’ve all established a way to see past the illusion and into the divine. It might be hard to believe that it is possible to tap into something that we cannot see. But like the worm with no eyes, there is so much that we don’t know about our universe. Our minds have endured so much societal conditioning and have been plagued with so many lies and so much fear that we have become so disconnected from anything that we can’t explain. Greedy pharmaceutical companies convince us that we need to pay for medicine when in fact we can heal our bodies using natural elements such as plant oils and extracts. We’re facing a mental health epidemic because we’re conditioned to believe that our happiness lies in materialism rather than connection. We’re constantly taught to look outwards for satisfaction instead of looking inwards, past the egotistic mind and into the pure soul. The thing about Reiki and life-force energy is that it exists beyond the mind, and that is why it is difficult for many of us to understand it or even tap into it. Actually, we all have the ability to be Reiki healers, but we first must learn to go beyond the realms of the chaotic human mind and accept that there are endless realms beyond this one. When I felt what I believe to be Reiki for the first time it scared me. It was about 10 years ago during a group meditation practice. About 2 minutes into the meditation I began to feel an intense sensation in both of my lower arms, similar to that of pins & needles. It was as if I was holding two huge, heavy balls of energy on each arm. I had no idea what was happening and it made me so frightened that it triggered an anxiety attack! For years after that experience, I was scared to even meditate. It’s only now that I have learned about Reiki and life-force energy that I can make sense of that moment that occurred so long ago. My mind could only associate that moment with an emotion it was familiar with, which was fear. Because the mind only works by association it has taken me this long to remove that association and replace it with a new one. The mind’s tendency to associate experiences with emotions is one of the main causes of human suffering. Once we go beyond the association of the mind we are able to go deeper into other realms that we cannot explain. One way I like to think the mind is like a sky on a cloudy day. Thoughts are clouds that cover the sky, preventing us from seeing what’s beyond. Once the clouds clear we can see that there is a sky, there is space and there is an entire universe. After that first frightful experience in the meditation room, I had felt Reiki periodically over the next 10 years although I never knew it was Reiki that I was feeling. It wasn’t until December of 2018 that I was able to disassociate that experience with the feeling of fear and understand that it was instead an ability to channel into “Chi” or energy. What I felt that day was purely energy. In December I joined a Kundalini yoga class, a type of yoga that I had only recently discovered while on an awakening & healing retreat in Koh Phangan, Thailand. I was introduced to the teacher, Jewels, through a friend I had been spending some time with at the retreat. After Jewels’ incredible class, she mentioned that she was offering Reiki level 1 training. Without even thinking I knew I was going to be in that class. I just knew. It was an immense feeling of clarity, although it came very suddenly. One month prior to this moment I barely had an idea what Reiki was, let alone see myself learning it. But that’s how the universe works right? When you realise your path it becomes illuminated so you can see where to go. It was in that serendipitous, cognitive realisation that my path to becoming a Reiki practitioner presented itself to me. On the morning that the Reiki class was to commence, I walked down the leafy driveway to Jewels’ forest lodge – a beautiful wooden shack surrounded by trees with views of the ocean. The setting couldn’t have been more perfect. I was calmed by nature and instantaneously felt completely comfortable with Jewels. I had the strangest feeling of Deja Vu, which I believe is a sign from the universe that you are in the exact place you are meant to be, under that illuminated light. This was the day I became attuned to Reiki. I won’t go into too much detail about the course or the processes involved as they are complex and somewhat private. But I’ll just say that much of the practice came easily to me. It is now 6 weeks after my certificate. I have since gone on to complete level 2 and will complete my masters at the end of 2019. In the meantime, I am in a stage of growth and immensely committed to bringing Reiki healing into my life. On that note, I need practice. So if you are reading this and you would like to have a session with me please do let me know. I am in Sydney from February 12th until March 6th and then back in Koh Phangan.